TIME FOR SAVORY! I know, I know, I’ve been sharing dessert recipes to the point that my life appeared to consist of nothing but sugar and butter (aka a standard baker’s life). Well, I do cook as well. So if you’re looking for an easy Chinese dinner recipe for a family feast, you found the right place. 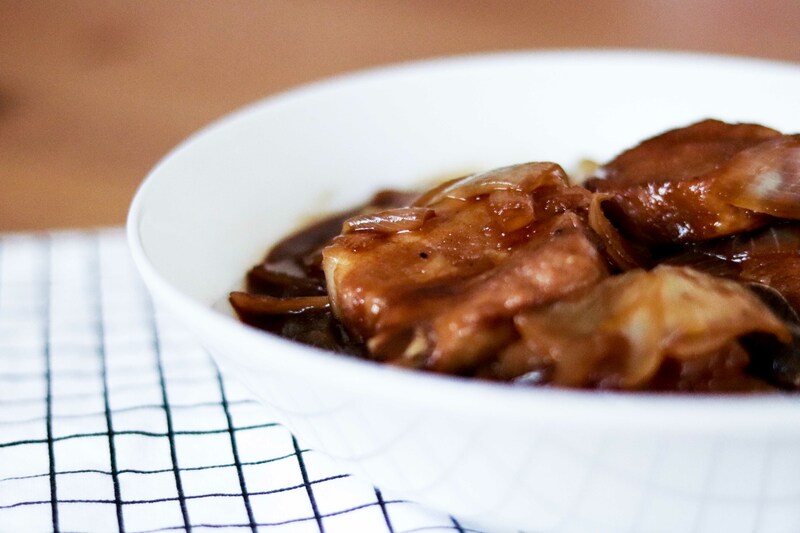 The reason why I finally decided to post a savory dish on my blog is that it means something more than just one of my favourite chinese dishes. It is a dish that represents the start of my true cooking journey. This dish was among the very first dishes I made on my own for a purpose: international dinner, a “tradition” that everyone had to follow in our shared student apartment to showcase our own home cuisines way back during my exchange. I had panicked so much due to my lack of cooking experiences at the time (I tried to look up as many Chinese/HK recipes as I could online and I felt as f lots of my brains cells died in the process haha). But, phew, I did a pretty good job in the end and my friends were all impressed! Many had asked me why I became so passionate about cooking, and now you know why. Back to the actual food. To me, hands down, the thing that I like the most about Chinese cooking is its extensive use of “Sweet & Sour” – I know you feel it too, it is truly addictive. The proof is its popularity in the Chinese take-outs in foreign countries. Honestly, as someone who was born and raised in Hong Kong, I still can’t resist ordering sweet and sour pork every single time I dine in a Chinese restaurant. Regarding the dish, please don’t worry about the sauce being overly sour, because the sourness of the Chinkiang (or Zhenjiang) vinegar will be nicely balanced by the sweetness of sugar to become the yummiest sauce ever. Just prepare yourself a bowl of rice to have with it and you’re so good to go. I made this for my family and fingers crossed that they’ll like it. Enjoy! Wash the spare ribs under running water, drain and dry well with kitchen towel. Marinade the spare ribs with corn flour, light soy sauce and white pepper for at least an hour. Heat your pan with medium high heat. Add in spare ribs, cook each side for 2 mins until golden brown. Add in gingers, garlic, and shallots, stir well and sauté until they become fragrant. Add Shaoxing cooking wine, dark soy sauce, and sugar, stir well. Add Chinkiang vinegar, water, and sugar, stir well. Bring to boil, braise over low heat for 30-45 mins until ribs become tender and sauce thickens. When served, sprinkle roasted white sesame seeds on top.